Rest easy in the summer sun under the shade of the Mauritius patio umbrella in White. This large, sophisticated 10 ft. square cantilevered umbrella will provide ample coverage over a large outdoor seating area. The Mauritius umbrella is a fantastic option for outdoor shade. 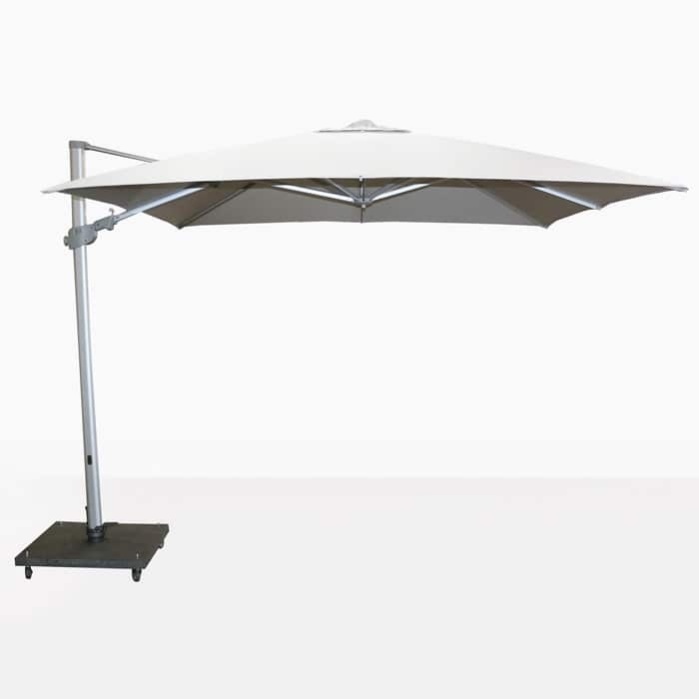 You can easily tilt the patio umbrella at a left or right angle. 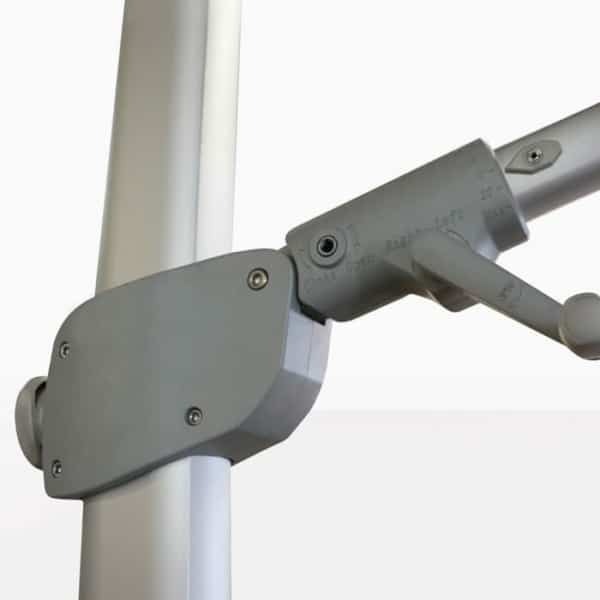 The mechanism that opens, closes and tilts is easy to use, simply rotate the handle. 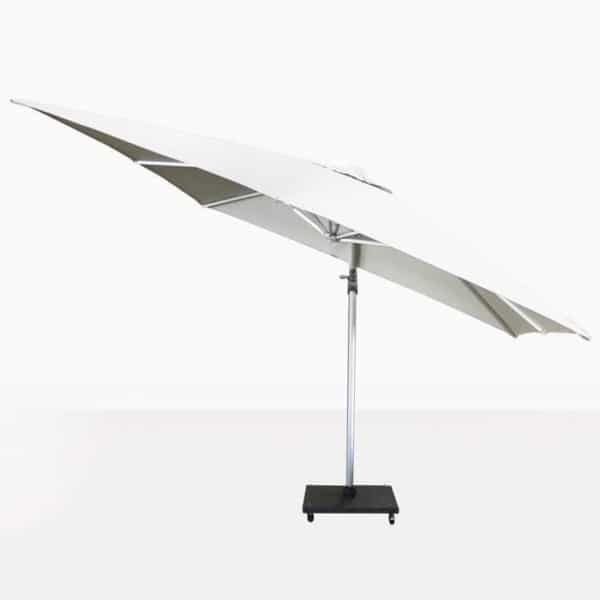 The overall height of the White Mauritius Cantilever Umbrella from ground to the top of the white canopy is 105”, this includes the height of the base. 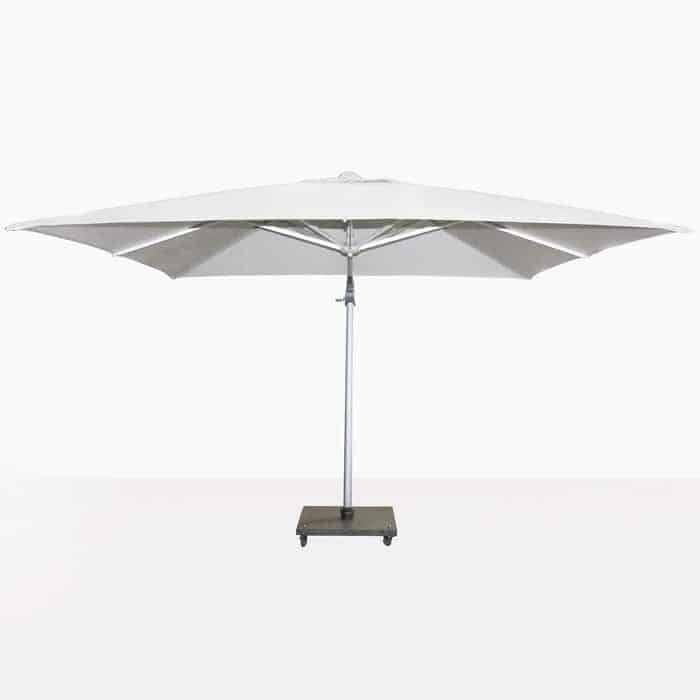 The granite base with wheels is included in the price of the outdoor cantilever umbrella as shown. Please call if you have questions, we are here to help. 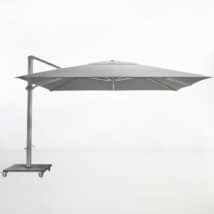 This cantilever umbrella is made with powder coated aluminum, stainless steel and white Sunbrella® fabric. 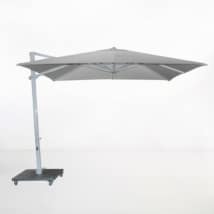 These high quality materials are perfect for outdoor use and also make this umbrella extremely high quality. 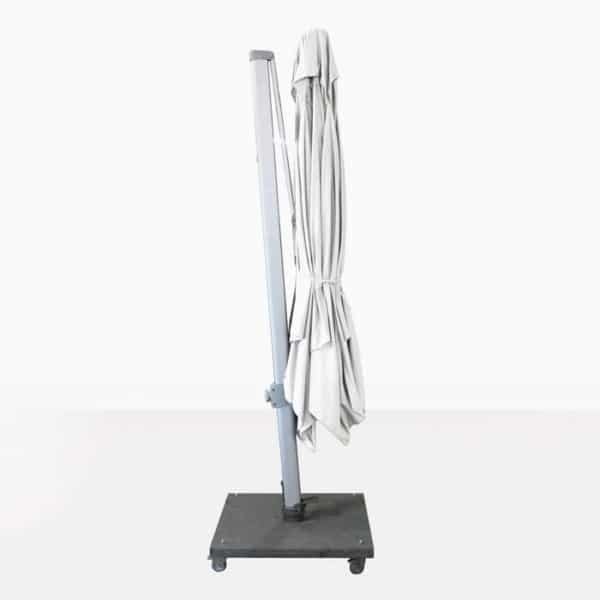 This umbrella comes with a granite base with wheels that also locks into place.